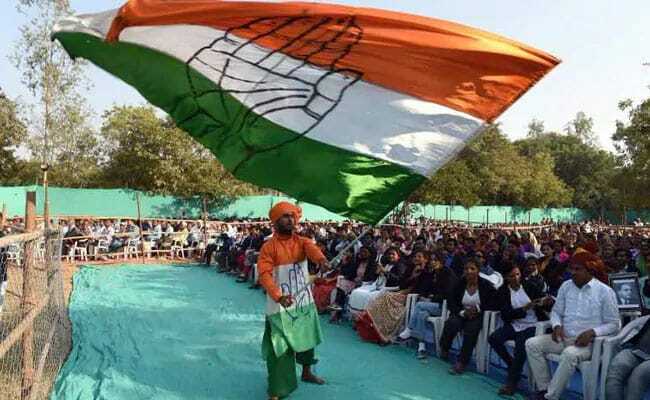 The Congress appeared set to wrest Rajasthan and Chhattisgarh from the BJP, which was trailing marginally in Madhya Pradesh in a cliffhanger. The Congress on Tuesday thanked people in three Hindi heartland states where it has performance well for choosing "lover over hate". "Democracy has won! Thank you India, you have chosen love over hate, peace over violence & truth over lies. This victory is yours," read a tweet on the party's official Twitter handle, with the hashtag 'CongressWinsBIG'. In a shock result, a resurgent Congress ended Chief Minister Raman Singh's uninterrupted 15-year rule in Chhattisgarh and was on course to regain power in Rajasthan, where the BJP won all the 25 seats in the 2014 Lok Sabha election.